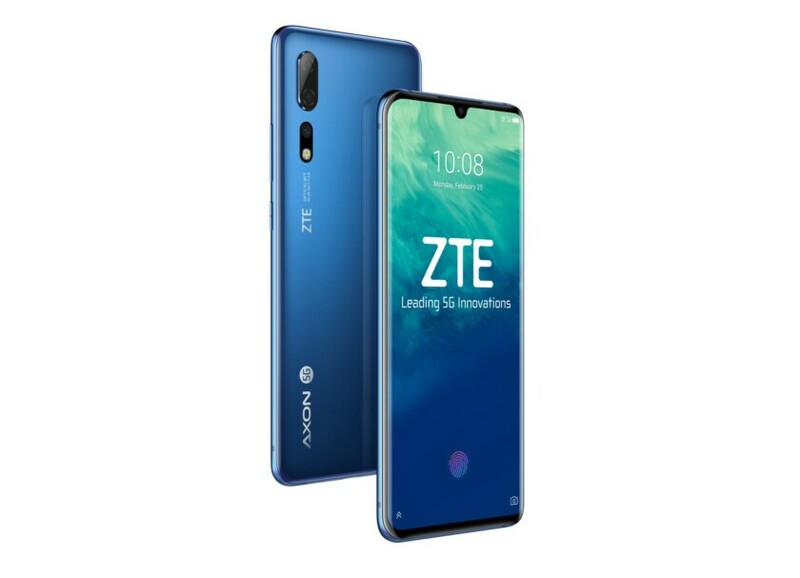 ZTE has announced the Axon 10 Pro 5G at MWC 2019. The new, 5G-enabled device was revealed alongside the ZTE Blade 10 and will be available in Europe in China in H1, 2019. The Axon 10 Pro 5G will be powered by a Snapdragon 855 chipset and SDX50 5G modem helping it hit peak download speeds of up to 2Gbps, said ZTE. The upcoming 5G rollout should offer compatible smartphones a speedier connection and more consistent connection than 4G LTE, but it won’t be widely available for some time yet. You can read everything you need to know about 5G at the link. ZTE also confirmed the Axon 10 Pro 5G would include a triple rear camera setup and a number of AI features. However, the company was light on further devices details in its press materials. The render above reveals a waterdrop notch and possibly an in-display fingerprint sensor, but we don’t know anything about the Pro 5G’s RAM, internal storage, its display properties, or connectivity. The Axon 10 Pro 5G joins other 5G launches from MWC 2019 including the LG V50 and the Huawei Mate X, while Samsung also launched the Galaxy S10 5G just last week. It’s exciting to hear about all these new 5G arrivals on Android — let’s just hope the infrastructure catches up soon enough so we can really take advantage of them!